I thought I'd put together a quick guide for you guys on how to get the most out of the Multiverse update, things to avoid and stuff to be aware of. Entering and leaving simulation constantly will cause lag on the server, try to avoid constantly entering and leaving simulation. If you want to test out a new machine, do it in local mode to avoid affecting other players! 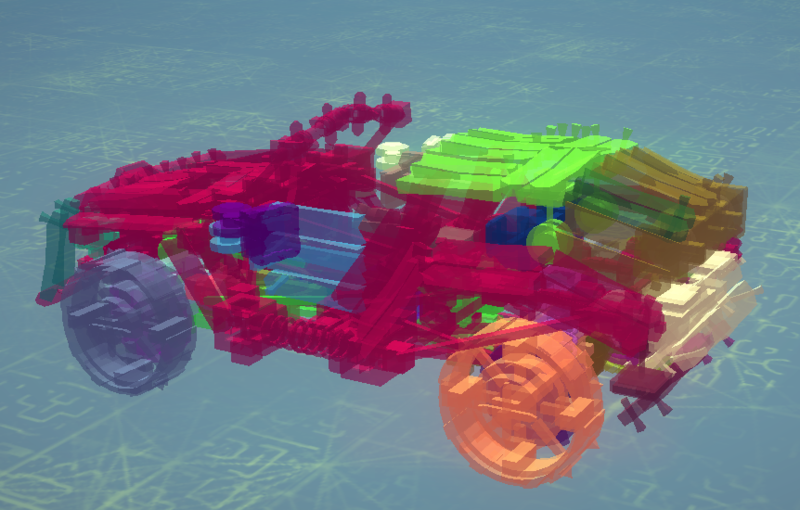 When constructing your machines for Multiplayer, try to keep the clustering system in mind. The more individual clusters a war machine has, the more it will affect the performance of a server. Some machines are much better optimized for the new cluster system, building things like tank tracks out of hinges works very poorly with the cluster system and will affect performance. Use the Cluster option to see how many clusters your machine has, the less colours, the better. Whilst most of the time this is not necessary if you’re playing the game through Steam, it is wise to open port 7777 on your router to reduce the likelihood of players having trouble connecting to you. The more objects you include in your level, the more heavily it’ll impact performance. Don’t forget that war machines vary in size and some are quite heavy on performance before you even factor in level objects. 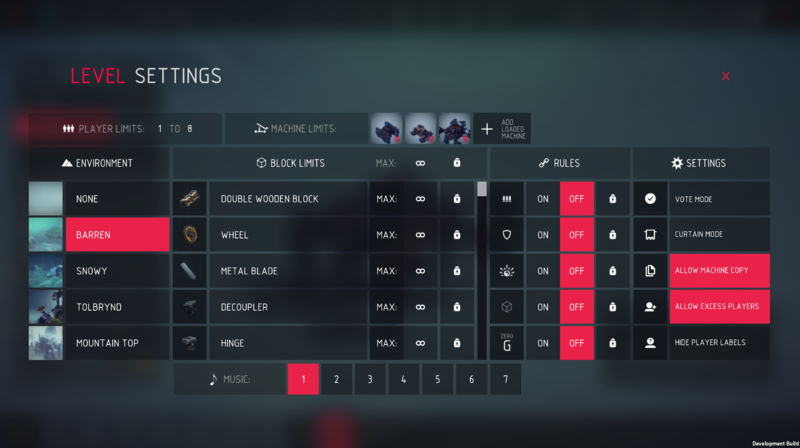 Those of you who are familiar with Besiege will know that lowering the timescale slider helps prevent lag when you’re using large machines, the same also applies to Multiplayer. If you’re experiencing low FPS or de-sync, try lowering the timescale slider. We’ve put together a quick tutorial for you guys which should help you get to grips a bit with the new level editor and how it works. Over time we’re hoping to publish more tutorials about specific areas of the level editor and explain how to accomplish more complex things within your level. Preventing or limiting the use of certain blocks in your level can help make it more challenging and fun. Forcing players to use a selection of specific machines can also create more balanced gameplay when you’re playing a competitive level such as a racing map or king of the hill.